Joseph was born in Awanui, Northland, New Zealand. He is Te Aupouri. His father is Andrew Anderson also known as Andreja Kleskovic and his mother is Erena Kaaka, daughter of Aneta and Hohepa Kaaka. Erena and Andrew were the first Maori-Croation marriage in New Zealand. 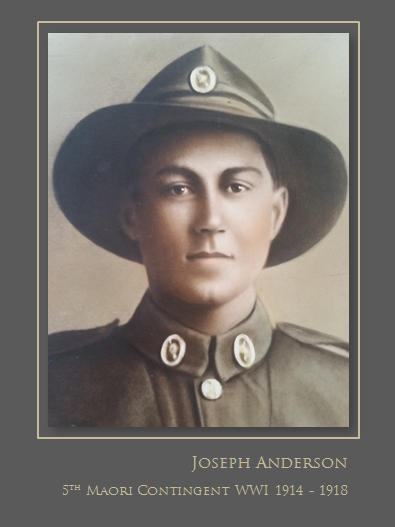 After the war, Joseph married his Ngati Whakahemo sweetheart, Paparinga Horne and settled down to farming at Pukehina where they raised their family. He is buried in Kauae Cemetery, on the slopes of Mt Ngongotaha, Rotorua.